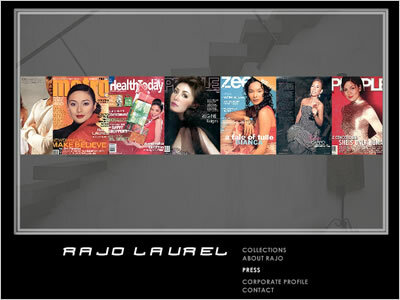 This website is an on-line portfolio for this fashion designer. 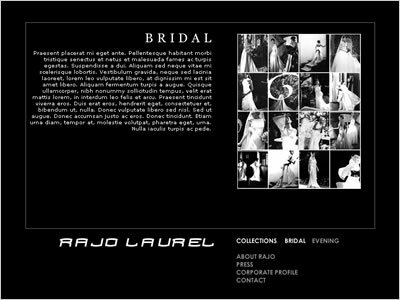 The content focuses on bridal and evening wear, both of which are the main products of Rajo. The website came about because potential clients here and abroad wanted to see his work. 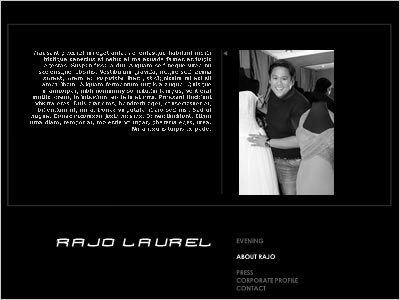 Initially pink, during Rajo's playful "pink phase," the website has undergone a first revision and is now sophisticated black.